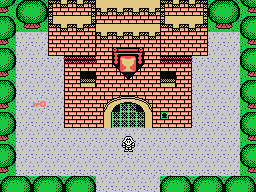 Guide the Prince as he runs across the kingdom, locating keys, a sword and other assorted objects, in an effort to locate the Golden Chalice and carry it back home. Don't let the dragons get too close, or they will have the Prince for lunch! Also be wary of the giant bat, who will steal objects and move them around, causing the Prince additional headaches! I have a special place in my heart for Adventure on the Atari 2600. It's the game I played the most when I used the ColecoVision's Expansion Module #1 (i.e. the Atari 2600 adaptor module) when I was a kid. The charm of the game lies in the third skill level, where item and dragon locations are randomized (occasionally in an unsolvable way) and this alone gives the game its high replay value. 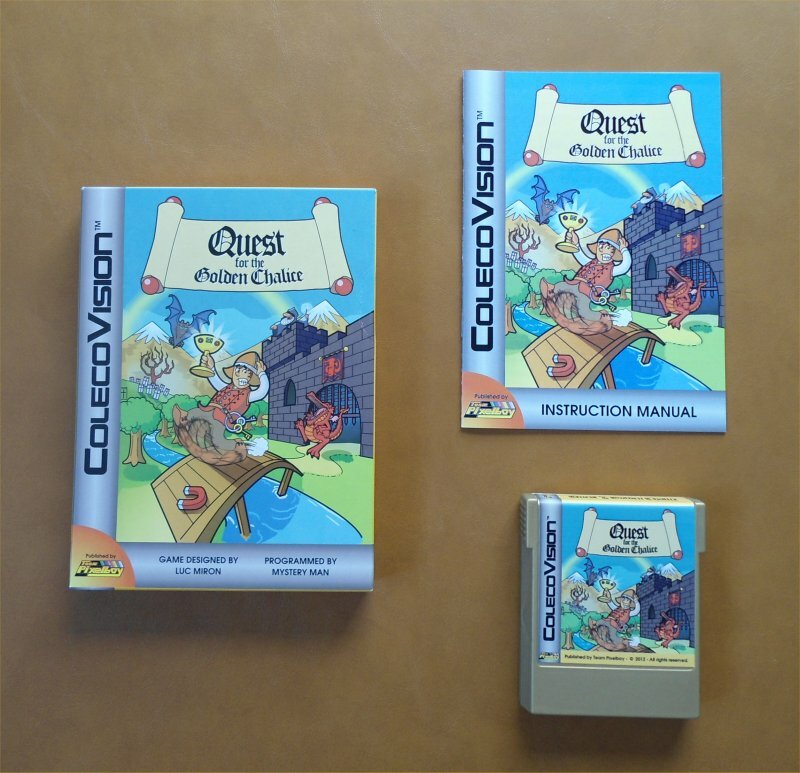 The ColecoVision needs games like Adventure in its library, but it obviously can't be converted as-is. The ColecoVision having much better graphic capabilities, I decided to give the original game a graphical overhaul and give it a bit of a "Zelda touch", as you can see in the screenshots above. 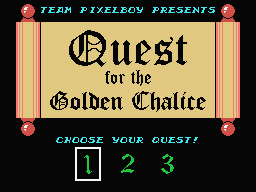 I was approached by a homebrew programmer in February 2012, and he offered to program Quest for the Golden Chalice according to my exact specifications, and aside from payment, his only demand was to remain anonymous (his given nickname is Mystery Man). I accepted his terms, and just a few short months later, the game was finished after an intensive period of beta-testing. The layout of the game is be mostly unchanged from the original Atari 2600 game (the familiar Easter Egg feature is even included) but showcases some cool visual eye-candy, as well as new background music. 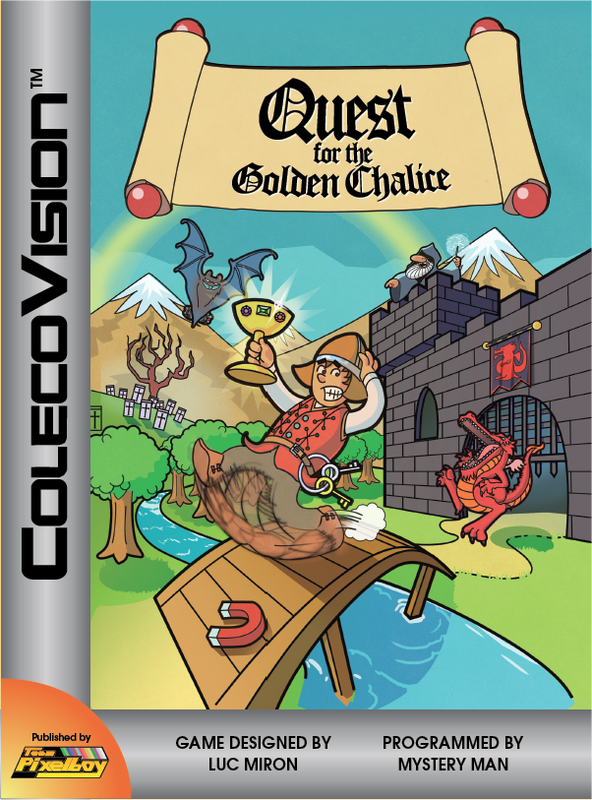 Here is a YouTube video of Quest #1 of Quest for the Golden Chalice.